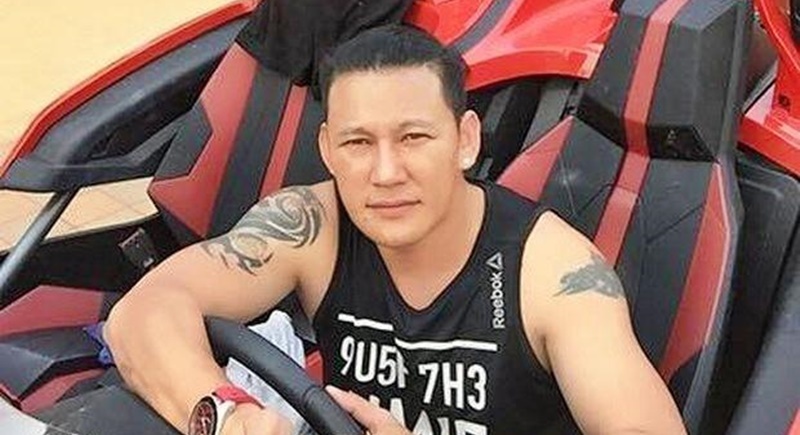 BANGKOK: The Narcotics Suppression Bureau (NSB) said a B20-million Lamborghini, owned by speed racer Akarakit Worarojcharoendet, was linked to arrested Lao drug kingpin Xaysana Keopimpha. Mr Akarakit, 30, alias Benz Racing, told NSB officials last week he borrowed B6 million in cash from Natthaphol “Boy” Nakkham, one of the suspects linked to Xaysana, as a down payment for the Lamborghini, according to officials. “Police found the luxury sports car was connected to Xaysana,” said Maj Gen Pornchai Charoenwong, Deputy NSB Commissioner. Investigators remain doubtful over several issues concerning the Lamborghini and the six-million-baht loan, he said. Maj Gen Pornchai said the investigation into the case is to be wrapped up this week. Police are also waiting for additional information from Mr Akarakit about the vehicle after he revealed very little during questioning, he said. Two more people among celebrities and high society types allegedly linked to Xaysana will be called for questioning as they are believed to have knowledge of the Lamborghini, he said. Whether they would be treated as witnesses or suspects depends on the investigators, Maj Gen Pornchai noted. Investigators will also look into monthly transfers of B300,000 from Mr Natthaphol to a car modification shop owned by Mr Akarakit, along with the shop’s cash flow, he said. Land Transport Department officials, Maj Gen Pornchai said, will also be contacted to check the Lamborghini’s “Ko Cho 51 Bangkok” licence plate, which was found to have been owned by a woman named Thanyarat Weeradecha. The Deputy NSB Chief said that the Lamborghini was bought from a used car dealer, but refused to provide any more details. Meanwhile, officials from the NSB, the Office of the Narcotics Control Board (ONCB) and the Anti-Money Laundering Office (Amlo) met yesterday (Feb 6) to sound out the outcome of last Thursday’s (Feb 2) raids on 40 locations around the country believed to be linked to Xaysana’s drug network. The operation was codenamed “Chaiya Sayop Pairee 60/2”. According to Maj Gen Pornchai, 11 people were arrested in the operation and a manhunt for another three suspects is under way. The meeting also touched on the issue of the six-million-baht loan, a police source said. According to the source, Mr Natthaphol told investigators that he had lent Mr Akarakit the money, but it was on the condition it was not to be used as a down payment for the Lamborghini. Officials refused to give further information on how the money was meant to be spent, the source noted. Mr Natthaphol and Mr Akarakit were found to have transferred money to each other over the past year, the source said, adding suspicions also arose about the amount of money transferred to Mr Akarakit’s bank accounts several times and a probe into the issue is under way. The source said the Lamborghini was first registered in 2011. Ownership was found to have been transferred two or three times in the past six years. Mr Akarakit’s testimony that he bought the Lamborghini from a used car dealer in the Rama III area is likely to be true, based on the investigation, the source added. Xaysana was arrested at Suvarnabhumi Airport on Jan 19 as he arrived on a flight from Phuket.